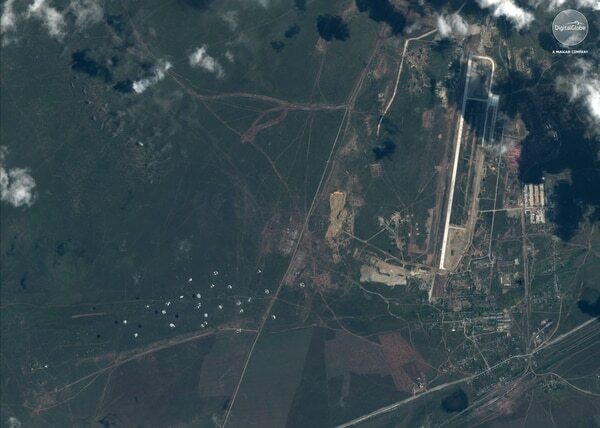 WASHINGTON — You might have been hearing about Vostok 2018 these past few days, and you might have even seen one or two ground-level photos. 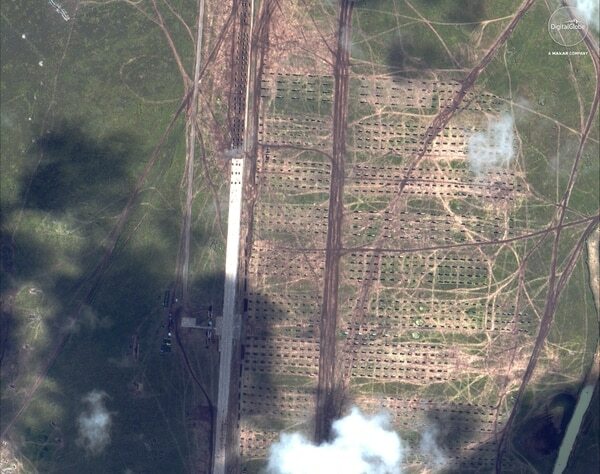 But have you seen Vostok from space? 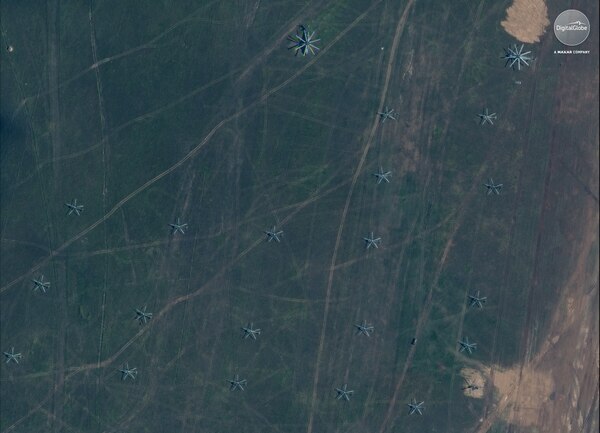 Vostok 2018, which is Russia’s largest show of power in 40 years, is five days of military drills and includes Chinese and Mongolian troops. 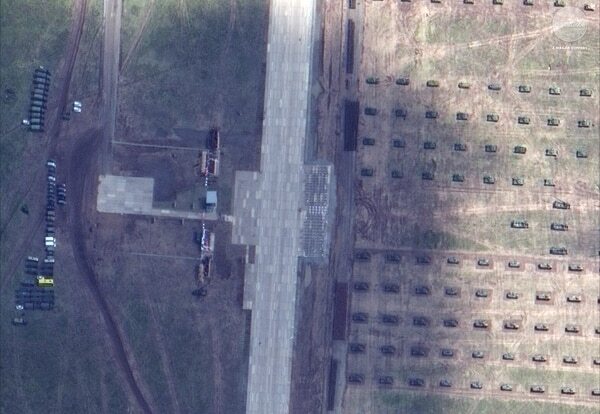 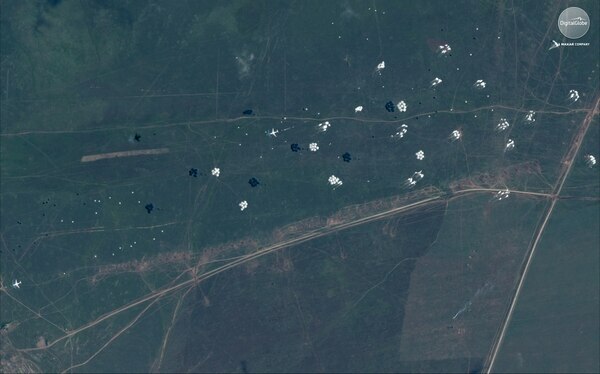 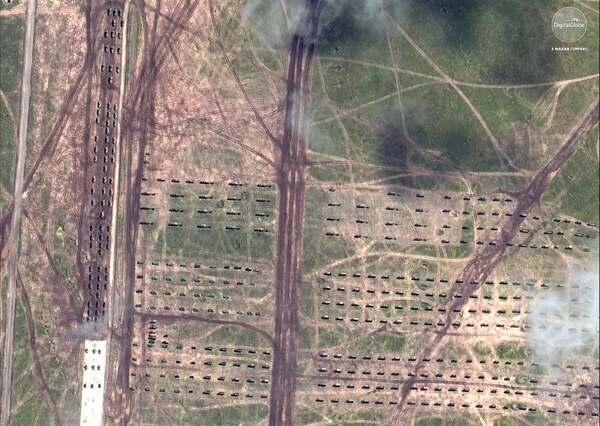 The photos below were taken with DigitalGlobe’s high-resolution imaging satellites (GeoEye-1 and WorldView-3) above the Tsugol training area in eastern Russia. 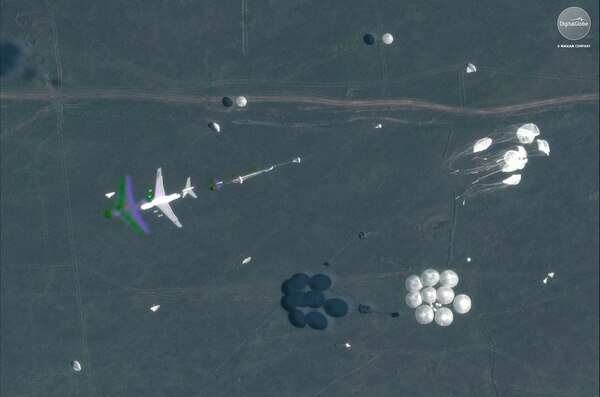 The imagery captured an airborne paradrop in progress with Il-76 Candid airplanes in flight dropping airborne fighting vehicles, equipment and personnel with parachutes, according to DigitalGlobe. 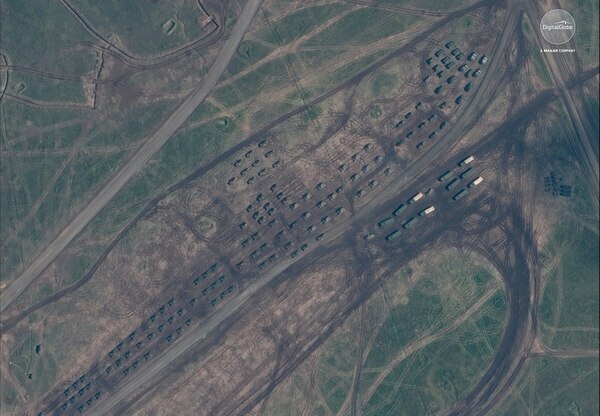 The images also reveal the scale and scope of the exercise, with thousands of armored vehicles, artillery and equipment assembled in formation and conducting a parade while Russian President Putin reportedly observed the forces.